Take yourself back to the 1970’s or the Rockerford file days in your mind and when you go in to the Balkan house that describes your initial thoughts when you first walk through the doors. The restaurant says that the decor is reminiscent of a European hunting lodge…. The restaurant is clean, the staff friendly and the service is good. 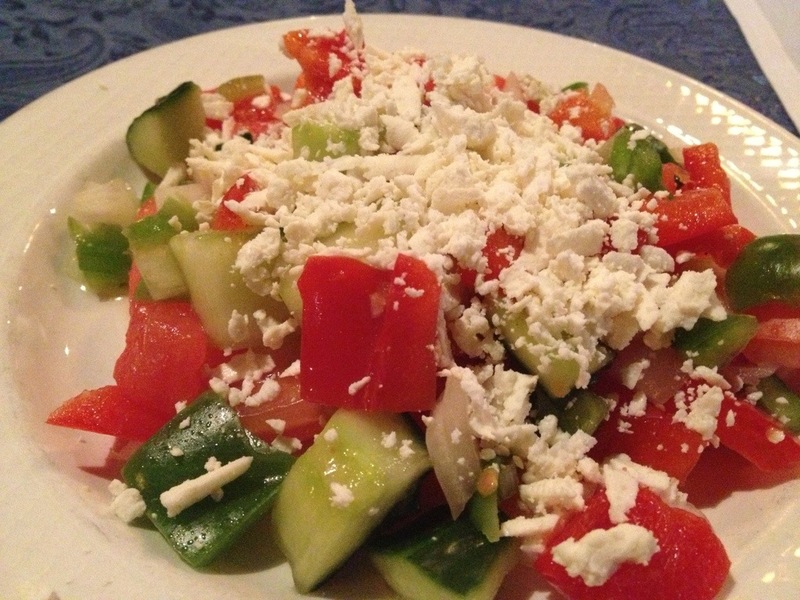 The Balkan house is an Eastern European restaurant known predominantly for their meat dishes. Today I was in the mood for salad and Cevapcici – grilled sausage made from ground veal and pork. The salad was fresh and the cevapcici was perfectly grilled and tasty! 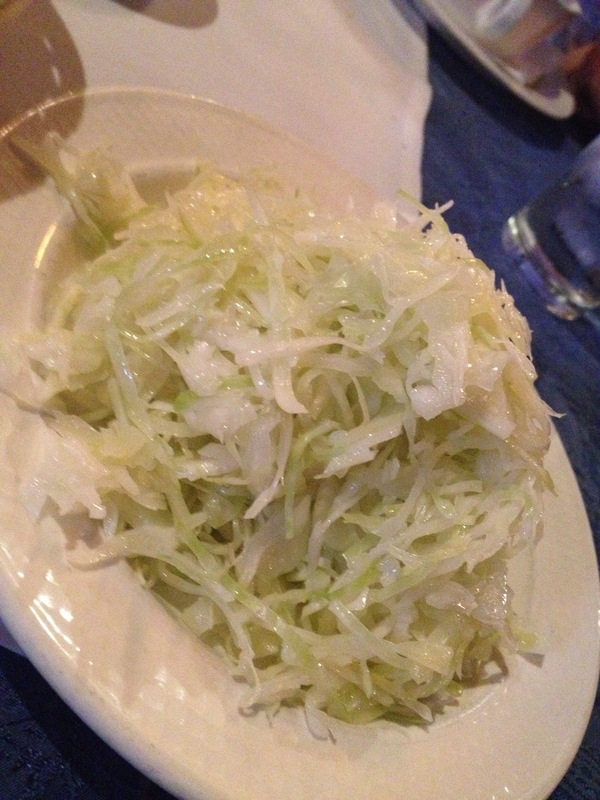 The restaurant had mostly Eastern Europeans dining at it so by default I would say that the food is genuine to its European heritage and culinary roots…. Lunch for 2 was also very reasonable, approx $30.00 for two plates which included soup, salad, 5 pieces of Cevapcici with potatoes, rice and bread including 2 drinks. On top of the sausages I am told that they are also known for their schnitzels and fish and one thing for sure is that they are known for the large portions. At night they often have live music and a spirited atmosphere. On Sundays they offer a buffet loaded with grilled meats and other goodies…. but don’t expect to take too many trips back to the buffet as the meats definitely will fill you up. 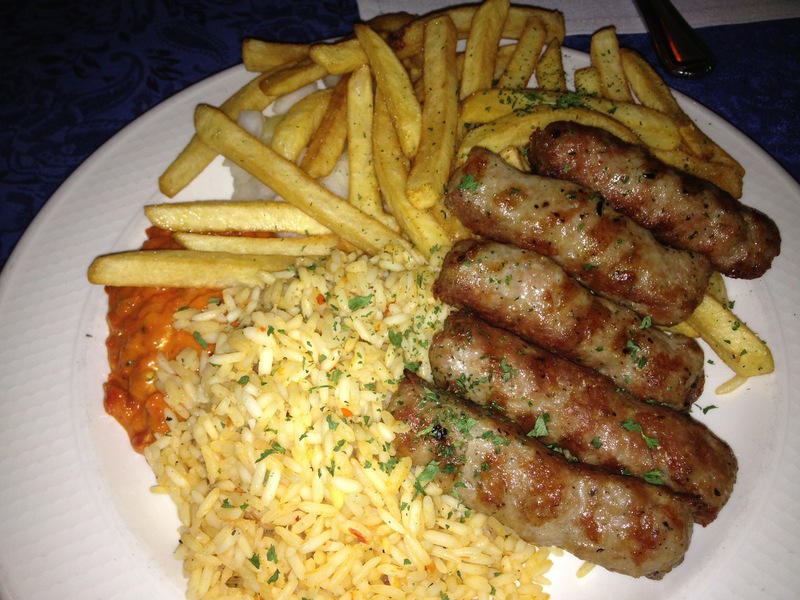 Posted on November 26, 2012, in expand your cultural taste buds, gems outside Vancouver and tagged Balkan House, Cevapcici, European flavors. Bookmark the permalink. 7 Comments. I’ll bookmark your blog and check once more here regularly. I am relatively certain I will be told many new stuff proper right here! Best of luck for the next! Thank you! Have a great weekend… Any and all feedback welcome. Absolutely, I wouldn’t mind at all… Thank you for asking and for sharing. A fantastic place to go. 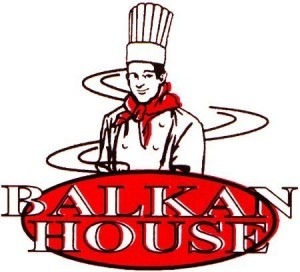 On my next trip to vancouver I will visit the Balkan house again. The food is so delicious and the service is very kind. Keep on going! Do they offer gluten free options? I am not positive but promise I will find out quickly and get right back to you.